Your Audi is a unique, high-end automobile that combines speed, luxury, and high-powered performance. The Audi is special, and it should be treated as such. USA Automotive’s team of ASE Certified technicians specializes in maximizing the full potential of your Audi, making sure you enjoy the speed, comfort, and driveability you expect. When you selected your Audi, you should have also selected an Audi mechanic that knows how to properly care for your Audi’s future. No need to return to an expensive and impersonal dealership for your Audi’s services. 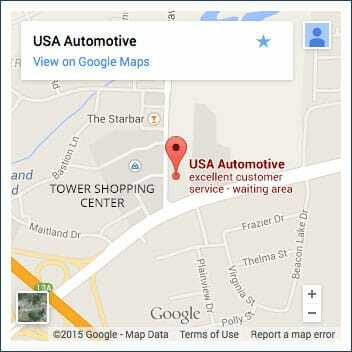 USA Automotive in Raleigh, NC is here to provide all your Audi’s preventive maintenance. This is the secret to your Audi’s longevity and enhanced performance. Superior and innovative manufacturing is why your Audi is the class of the highway, but it’s the personalized attention from our Audi service experts that will keep you in the lead. Your Audi has a lot of style and is fun to drive, but above all else it’s safe and efficient. We know how to keep it that way. We’ll design a maintenance schedule around your Audi’s specific needs and your driving habits. Our team stays abreast of, and adheres to, all the manufacturer’s recommendations for your Audi’s service. Let our team handle all of your Audi’s routine maintenance, like oil and filter changes, lube services, wheel alignments, exhaust system work, brake service, electrical system issues, and much more. USA Automotive will keep you and your Audi on the road by keeping you in front of any repair needs or potential problems. The goal is to make sure you avoid any costly repairs or breakdowns by carefully servicing and monitoring your Audi. We perform timely and efficient maintenance services, as well as clean and complete repairs using the best quality replacement parts. USA Automotive’s Audi repairs and maintenance allows your vehicle to finish the way it started. Your Audi’s quality performance from the showroom floor to your driveway will only continue with a qualified team providing continued services. We’re not just interested in today’s quality performance from your Audi, but tomorrow and beyond. Our full-service Audi repair team will meet any need as they help you avoid expensive repair problems. But even with the most diligent maintenance plans, your Audi still might have a repair need. We can take care of them all, from minor brake repairs to major transmission replacements, and everything in between. Once you commit your Audi to our service plan, you’ll have a dedicated team of mechanics that is committed to giving your Audi the special treatment is deserves. USA Automotive in Raleigh, NC provides the Audi services that extend road-life, optimize engine performance, and improve safety. 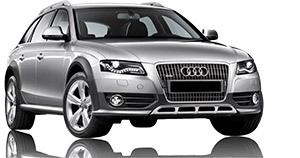 Our services are also great at helping you retain your Audi’s resale value. It’ll run like new for as long as you’re behind the wheel, and we’re under the hood. Schedule Your Audi Service Today! Today is a great day to be an Audi driver! And it’s also a great day to give your Audi some TLC. 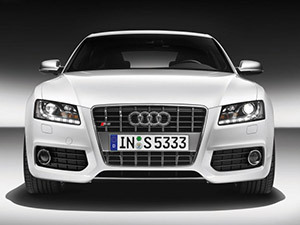 That means bringing it to USA Automotive so we can provide the maintenance services that your Audi needs. Our team specializes in Audi services, making us the best alternative to the dealers in Raleigh, NC. At USA Automotive, you’re not just another number, we treat you like family. Give us a call at 919-249-5295 to receive the area’s best Audi service. For your convenience, we’ve made it possible to schedule your Audi service appointment right now. Since you’re already online, you can go ahead and use our online scheduling system. Just pick a day and time that works best for you, and we’ll meet you here!